Co-Founders of the Network of Independent Critics Laura Kressly and Katharine Kavanagh talk about the initiative’s 4th year! Now in its 4th year, the Network of Independent Critics continues its mission of championing the works of independent publications. Offering access to the world’s most popular arts festival, Edinburgh Festival Fringe, bloggers, vloggers, journalists, critics and reporters are afforded the opportunity of being located in the very heart of this exciting world renowned festival, whilst covering a particular art form of their choice and having a means to focus on their craft without distraction. As the name suggests, individuals will also be joined by a network of fellow critics, encouraging an environment of discussion, supportiveness as well as a shared appreciation for the arts. Ahead of this year’s festival, co-founders of the initiative Laura Kressly (Founder of theatre blog The Play’s The Thing) and Katharine Kavanagh (Founder of blog The Circus Diaries) talk about how they were inspired to create Network of Independent Critics, how the initiative has supported critics taking part and independent critics Jo Trainor and Daniel Perks taking over this year’s cohort. Applications are now open for freelance journalists, vloggers, bloggers, critics and reporters to take part in this year’s NIC scheme. How are you both feeling ahead of this year’s Edinburgh Festival Fringe? Laura and Kate: We’re excited to see what a fresh pair of critical voices and perspectives will bring to the scheme’s management. We had some challenges last year and both agreed the scheme needed a bit of a refresh, but we’ve since both started PhDs so a radical overhaul would be difficult to balance with our research. We’re also looking forward to having less intensive years at the fringe, though we can’t bring ourselves to stay away completely. We’re thrilled with the energy and enthusiasm Jo and Daniel have brought to the project. There’s something really wonderful about seeing something you started being given new life and new love by someone else. It validates that the scheme is worthwhile, and offers new insights from a younger generation. The scheme is currently in its 4th year, what can entrants expect this year from the scheme? Laura and Kate: NIC offers a bed in a shared room, in a 4-bedroom flat, for a week during the festival. New for this year, Jo and Daniel are incorporating a mental health and wellbeing element, which we’re excited about. There was a lot of online conversation after last year’s fringe about how reviewing under festival conditions is incredibly difficult and directly impacts physical and mental health, so it’s great to see sessions addressing this introduced for critics and fringe participants. We’re in the same central flat that we’ve stayed in for the last two years, so there will still be a communal aspect and camaraderie, whether it’s over coffee in the morning, writing around the kitchen table or catching up on the shows we’ve seen. What inspired the creation of NIC? Laura: When I wanted to start reviewing at the fringe, I found the experience of finding accommodation time-consuming and expensive, and the prospect of staying with people I didn’t know who may not understand how difficult reviewing is at the fringe, daunting. At the time I was writing for my own website so didn’t have any editorial support – very much a one-person band, and one with limited cash to spend on digs. A bit of research quickly revealed it was much cheaper to split a bigger place than to go it alone, so I approached Kate with the idea of getting a critics’ house together and finding other people like us, independent critics and bloggers, who would want to come to the fringe for less money. Kate: My specialist interest is circus-based performance, and I was particularly keen to bring an element of supporting under-represented work to the scheme. This is why writers have been asked to focus on a particular aspect of the festival programming in past years. In this way NIC supports the larger arts ecology as well as critics themselves. However, we’ve always had applications from independent i.e. unsalaried critics working for edited publications over the Fringe who will have their shows assigned by an editor, so this possibility is also reflected in the application guidelines this year. This year will see independent journalists Jo Trainor and Daniel Perks take over from you both. Have you been involved with the organisation of this year? If so, how have you all worked together to organise? Laura: After handing over all the account logins and showing them where the previous admin and documents from previous years was stored, we pretty much let them get on with it! Jo has come to Edinburgh with us every year, and Daniel for the last two years, so both are familiar with how it works anyway. We’ve discussed a few changes they’ve wanted to make, but we’d like to think we’re benevolent dictators. Kate: I’d like to think we’re not dictators at all! We’re pretty open to seeing the scheme shift in line with changing needs, as long as the underlying principles remain steady. We have been able to pre-emptively troubleshoot some practical issues because of our previous experience, but mostly I’ve been delighted with how Jo and Daniel have brought their vision to the project. The scheme has helped many independent journalists gain access to Edinburgh Festival Fringe, allowing for them to create unique content and to help promote shows that perhaps don’t receive as much press. How has the scheme impacted the journalists taking part? Laura and Kate: Every year, we’ve had a substantial number of critics who’ve never been to the Fringe before and said they’d found the idea of going alone intimidating. They’ve also loved the chance to focus on their practice for an intensive period of time without the distraction of work or studies. We’ve had several critics experiment with style, form and content whilst staying with us, and several have gone onto paid reviewing work for The Stage, Exeunt, Fest Magazine and other publications. Have you two learned anything new from creating the scheme? Laura: It’s been great to meet critics from around the UK and abroad, and to also have conversations about our individual practices. Kate: Particularly for me, as I live outside London, being a part of a flesh and blood critic community is a vital and vocation-affirming experience each year. Of course, there have been challenges and nothing ever goes 100% smoothly, but it’s largely been a positive experience that shows just how valuable criticism is at the fringe, and how important it is that critics have space to focus on their work. What are your hopes for the scheme in the future? Laura and Kate: We’d love to be able to offer the accommodation for free to unpaid and low-paid critics, which will also help decolonise the predominantly white, middle-class critical landscape in the UK. Unfortunately, seeking funding opportunities and applying for grants is a full time job in itself that neither have been able to balance with our respective work and life commitments. We’d also like to expand to other arts festivals, and pair new critics with mentors. How can journalists/reviewers take part? Laura and Kate: You can download the application form here. Just make sure you email it to us before the deadline! The deadline for applications is Monday 22nd April, 6pm. 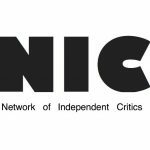 To find out more about the Network of Independent Critics, follow them on Twitter – @NICritics and Facebook – Network of Independent Critics.